Laptop trackpads can be annoying. Your palm hits them while you’re typing, moving your cursor and messing up your flow. This can be particularly annoying if you have an external mouse connected, and aren’t even using the trackpad. If you’d rather the trackpad turn off entirely the second you connect any kind of external mouse, macOS offers this option, though it’s a little buried. 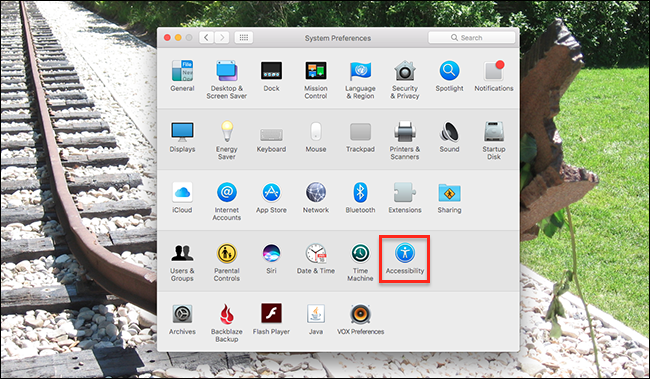 First, open up System Preferences, which you can find by clicking the Apple logo at the top-left of your screen, then clicking “System Preferences.” Open the “Accessibility” panel. That’s right: this isn’t under “Mouse” or “Trackpad,” like you’d think it would be. Whatever. In the left panel of the Accessibility panel, scroll down until you see “Mouse & Trackpad.” Click that, and you’ll see a number of input-related options to the left. 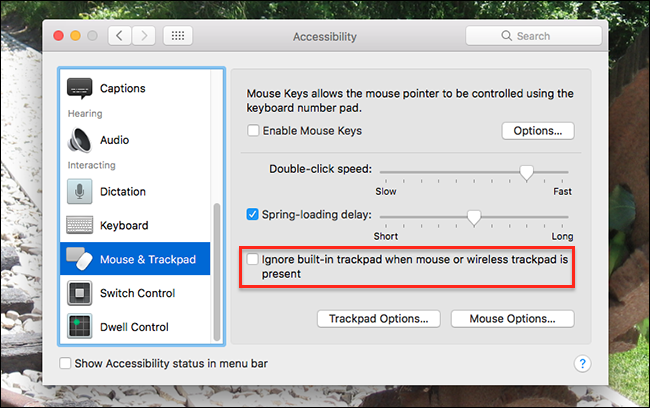 Click the checkbox that says “Ignore built-in trackpad when mouse or wireless trackpad is preset,” and you’re done. If an external mouse or trackpad is connected to your MacBook, the built-in trackpad will not work, but the second your external device is disconnected it will come to life again. This works for USB and Bluetooth devices alike.